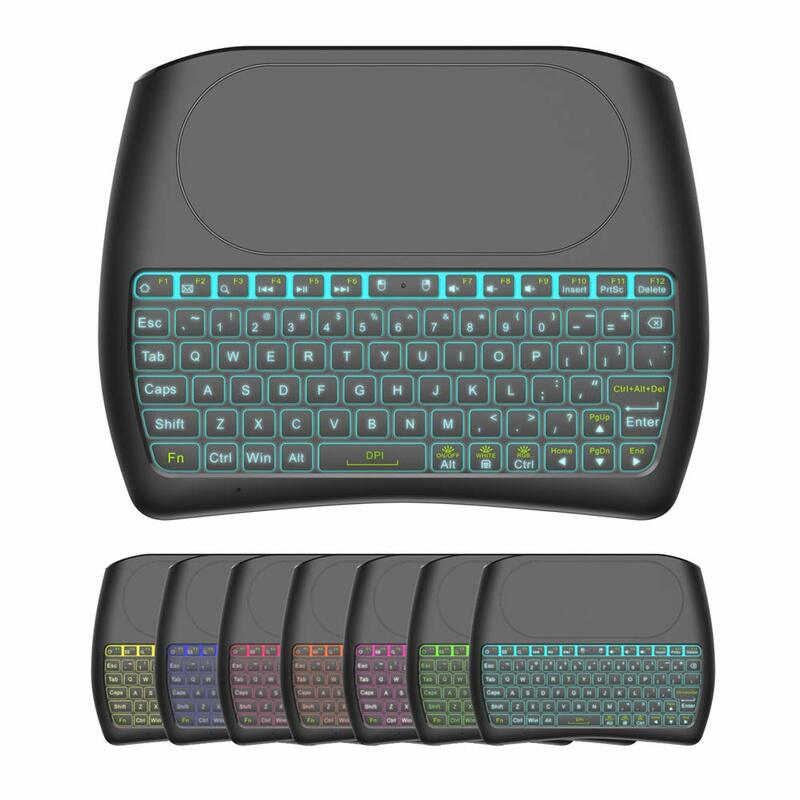 ▶7 Color BACKLIT SET: Colorful Backlit including red, orange, yellow, green, blue, indigo, violets switch randomly, more convenient when lack of light. 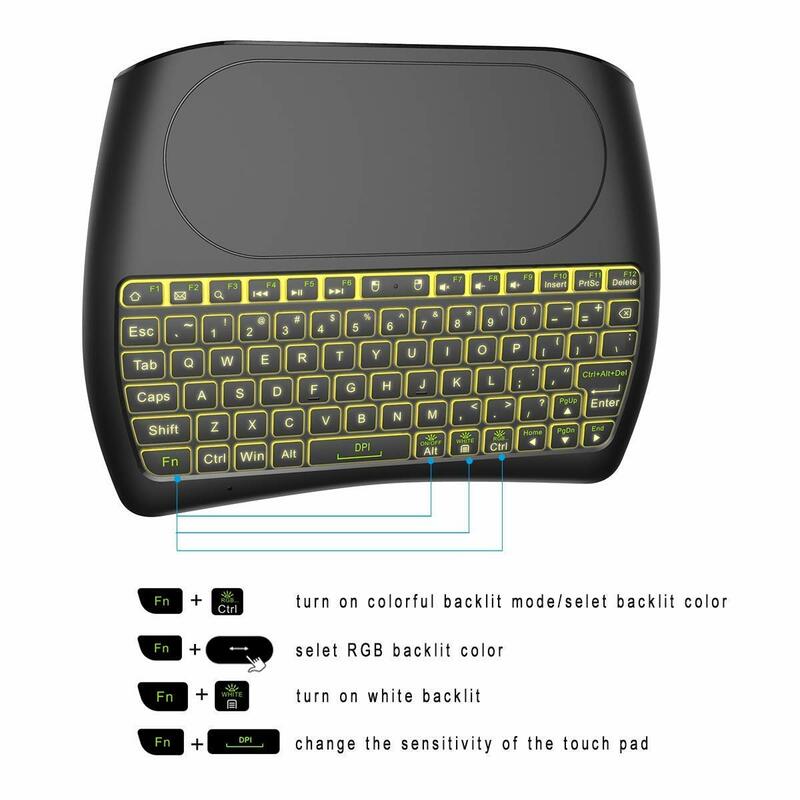 ▶TOUCHPAD: With the DPI adjustable functions,the touchpad can better match the different sizes of screen, also it supports multi-finger function,you can use single finger or two-finger to control your device,easily browse the internet and play games. 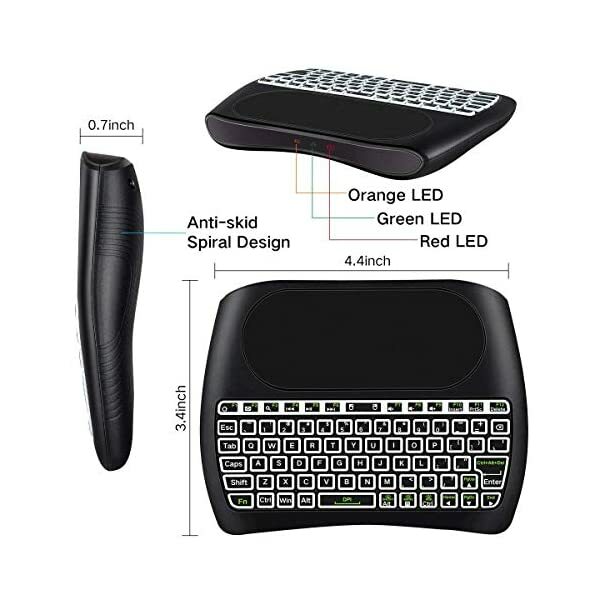 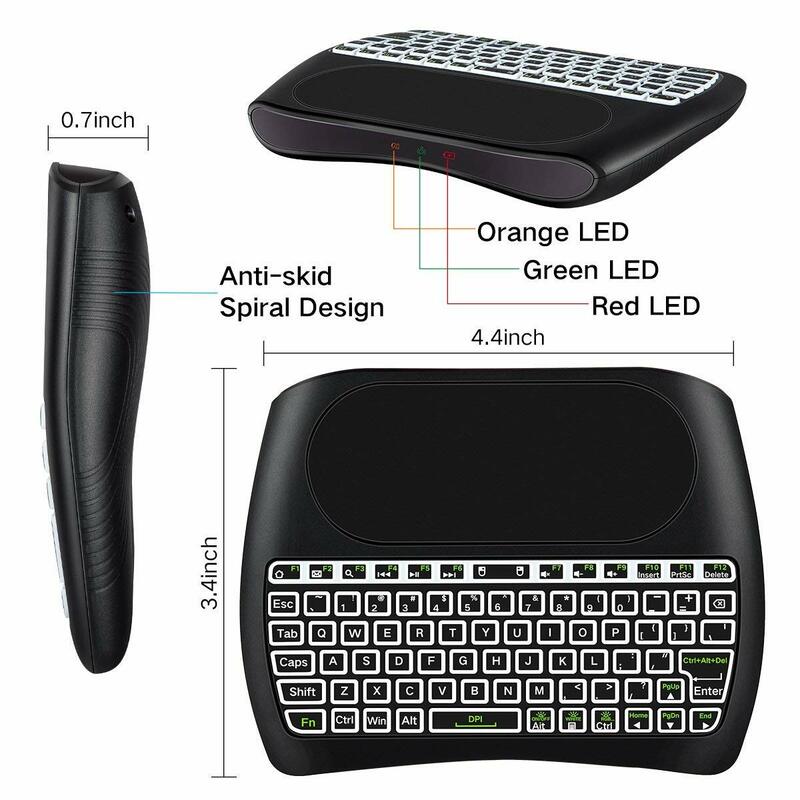 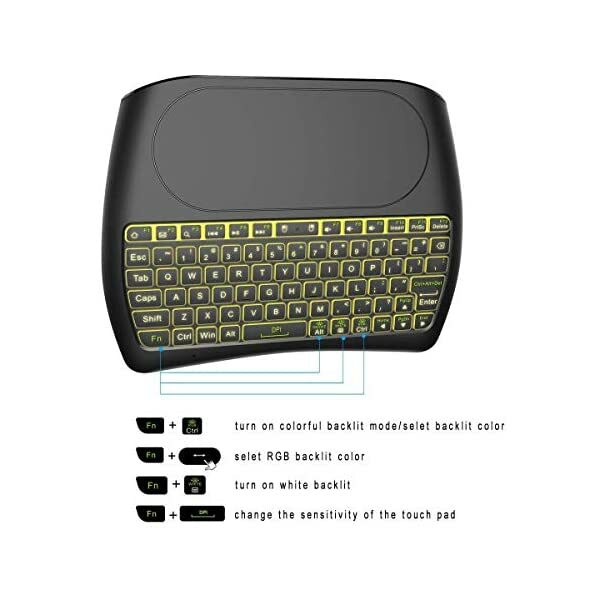 Q9 2.4GHz 7 Color Backlit Wireless Mini USB Keyboard and Mouse with Touchpad was designed with Innovative shape, compact, light and fully featured, which can give you more comfortable feeling. 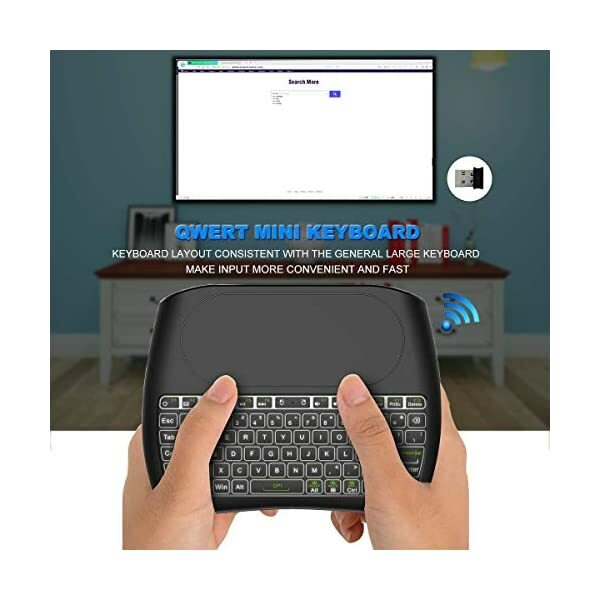 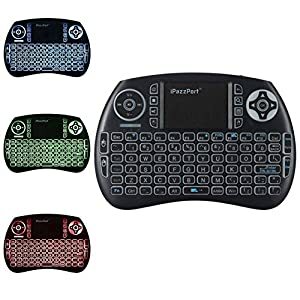 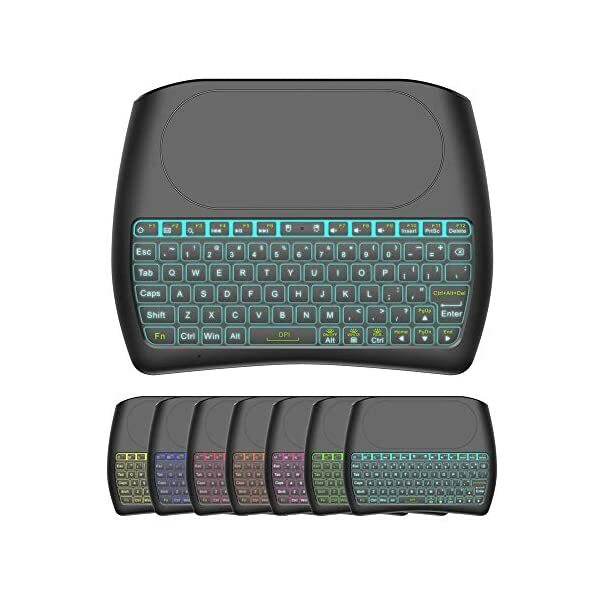 ▶MINI QWERTY KEYBOARD: Mini size with full QWERTY keyboard, 360-degree flip design, with function buttons, multi-media control keys, scroll buttons, and a track pad. 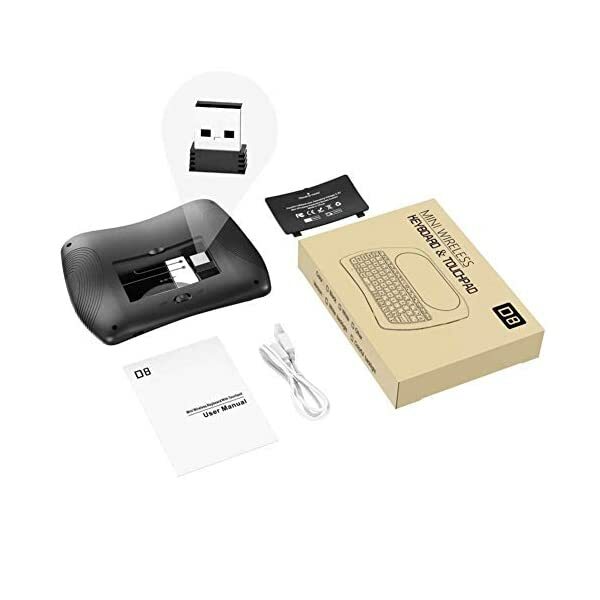 Build-in removable rechargeable li-ion battery will give you over 24 hours of use and up to several weeks standby time once full charged. 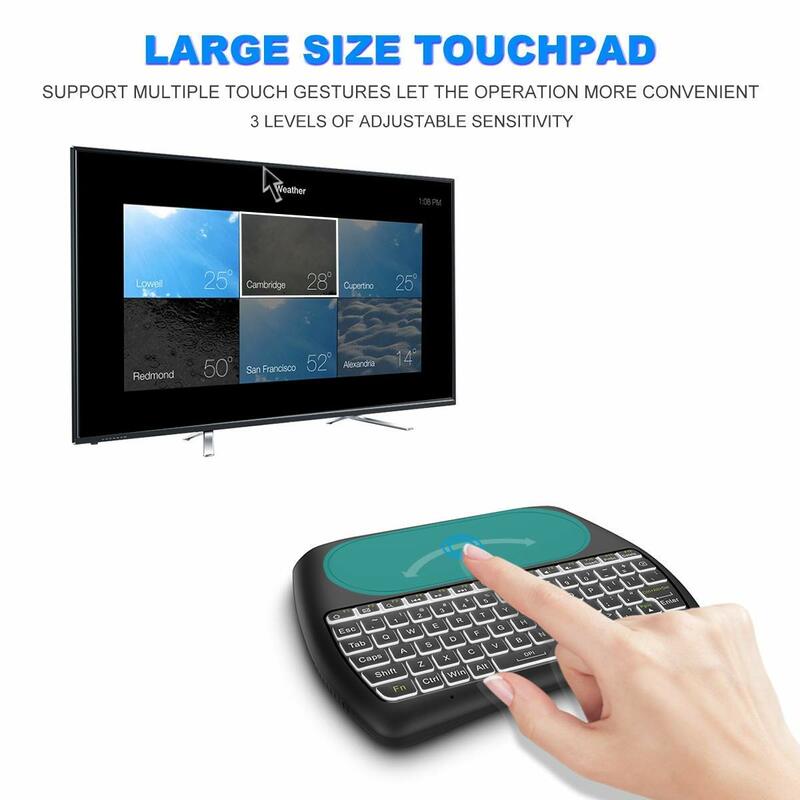 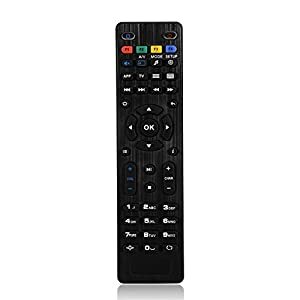 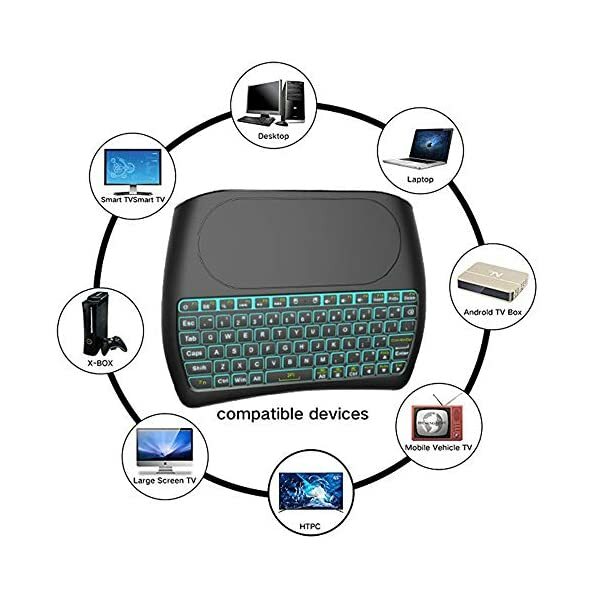 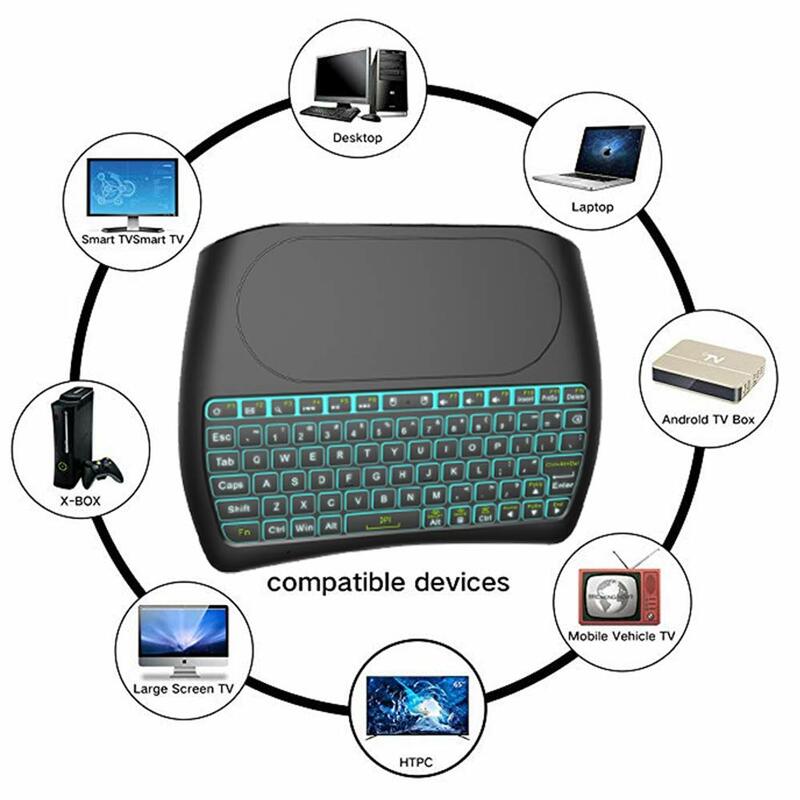 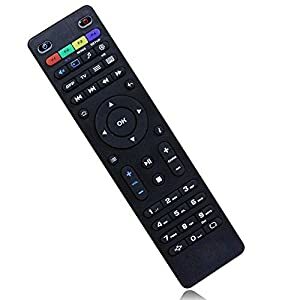 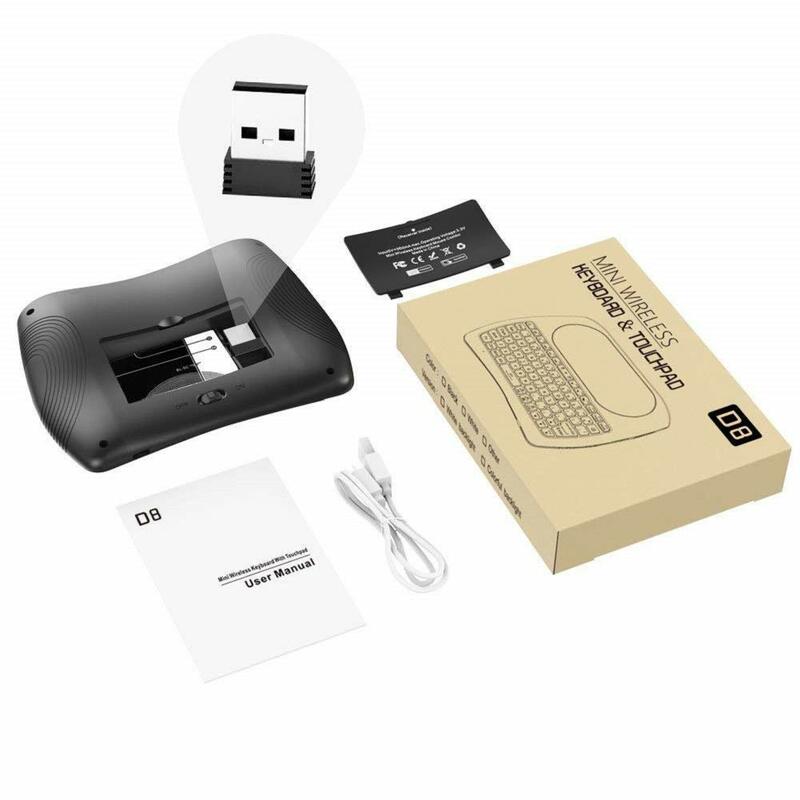 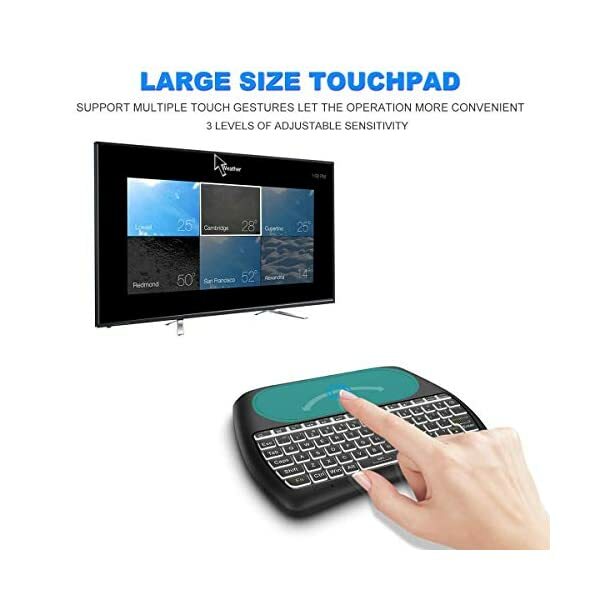 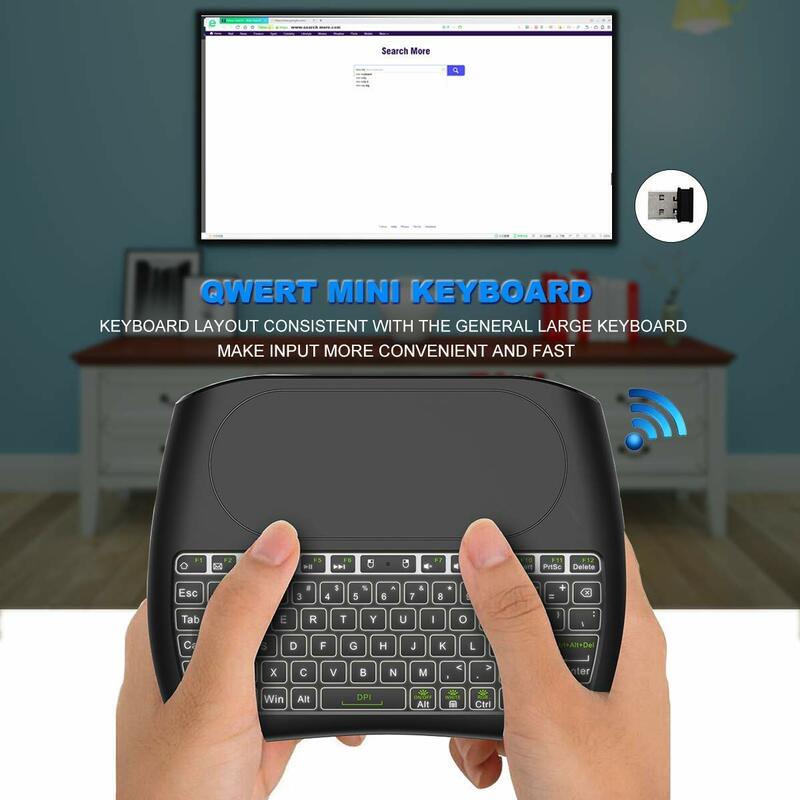 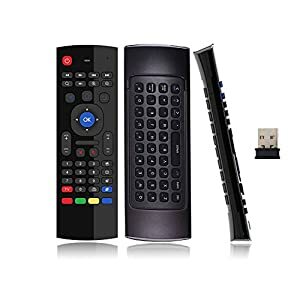 ▶COMPATIBLE WITH: Perfect for PC, Pad, Google Android TV Box, Xbox 360, PS3/PS4, Smart TV(Test your Smart TV with normal wired keyboard before place order, if it works with normal wired keyboard, it works with this mini keyboard), HTPC, IPTV, Raspberry Pi, Smartphone(OTG), Notebook etc.